I have just completed stage 3 of the sun/stand oil referred to in previous posts (see stages 1 and 2). I had to wait longer than I thought, and just beat the monsoons. We had a dust storm yesterday and about three drops of rain, but I had brought my oil inside by that time. It took three weeks in 112-117 degrees (Can you say “hot?”) instead of the two weeks I anticipated to get the desired thickness. It turns out that the lip on my bowl poured in a beautiful, dribble-less stream, so I was able to dispense with the funnel idea. 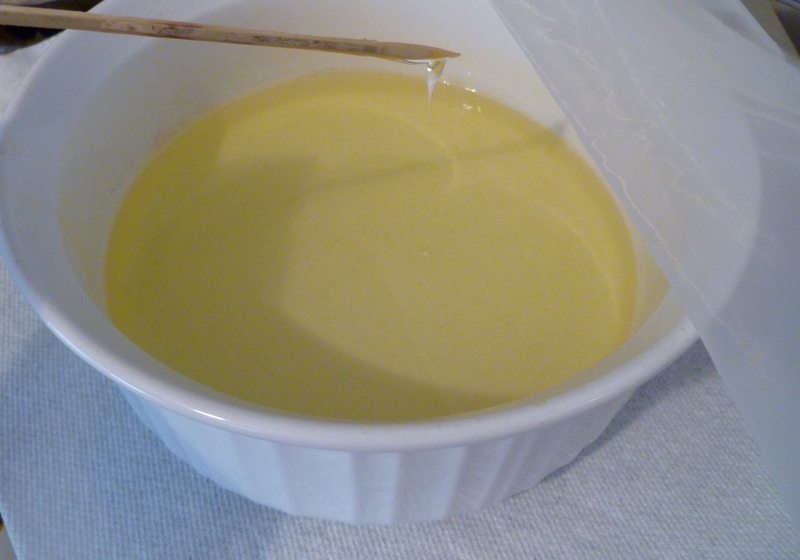 I simply poured the new stand oil back into its original linseed oil bottle, using a Q-tip to drag the last of the stand oil out of the bowl and into the bottle–I didn’t want to waste any of the good stuff. I ended up with the bottle half full of good medium after filtering out the moisture and impurities during the prior stages of the refining process. 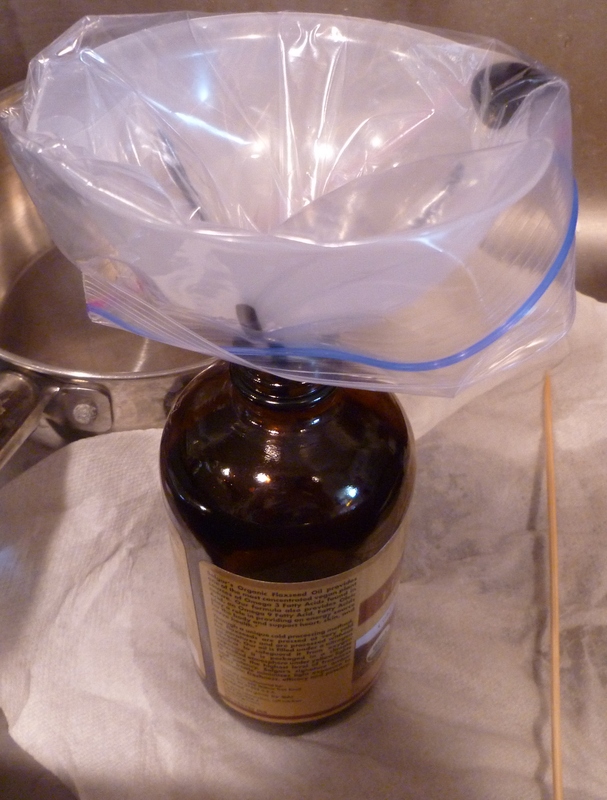 I can tell you that this oil will do its job extremely well as a binder–I had a very hard time trying to clean it out of the bowl. I first tried olive oil, and then a Scotch Brite scrubber. Neither would budge its strength around the oil line where it had been sitting for weeks. Finally, I soaked the bowl in very hot soapy water and then scraped it off easily with a single-edge razor blade. You could stop right here with this process and be happy with conventionally using your lovely, perfectly refined stand oil, an “unobtanium” at any art supplier; OR, you can continue with me on the path of adding marble dust, making glair, etc., a process I will be outlining in additional posts. This entry was posted in art colonies, groups, materials, mediums, supplies and tagged Linseed oil, Olive oil.